..:: Spray Foam Roof ::..
Best option for coating new foam or to re-coat an existing acrylic- or silicone-coated spray foam roof. California VOC-compliant. 1. This document outlines the installation process of EPDM roof coatings on spray foam roofs. Actual installation requirements may vary and it is the installer's or specifier's responsibility to determine actual project requirements. 1. 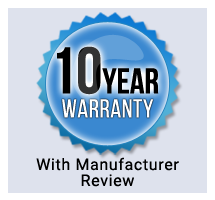 Manufacturer's Warranty: Manufacturer warrants that that the supplied material meets or exceeds our published specifications. Manufacturer's standard material warranty document is only issued on pre-approved projects. 1. Verify conditions are acceptable for application of spray foam roof restoration system. 2. Inspect spray foam roof to receive roof coating and make sure they are clean, sound, properly prepared and free of moisture, dirt, debris or other contaminants. 3. A comprehensive moisture survey is to be conducted to locate and identify areas of trapped moisture and saturated foam. 1. Cleaning: The entire spray foam roof surface must be clean, sound, dry and free of any contaminants that would interfere with the proper adhesion of the roof coating. This may require pressure washing, scraping, wire brushing or other means necessary while observing responsible trade practices. All loose paint and oxidation should be removed before applying any product. 2. Ponding Water: Contractor shall make every effort to mechanically eliminate all ponding water areas on the spray foam roof prior to application of any roof coating product. 3. Small Blisters and Cracks: Cut out bad areas to expose good foam. Mix EnergyMax Silicone Coating with SeamStitch Fibers or SeamStitch Fillers until you achieve a putty like consistency. Use a putty knife to fill these small areas. 4. Large Blisters and Weathered Areas: Blistered, damaged and weathered SPF must be removed down to good foam or bare substrate. Apply new SPF to fill repair areas. Overfilled areas may be sanded down to make it flush with the rest of the surface. Prime surface immediately to protect from UV-degradation. 5. Do not apply coatings until all unsatisfactory conditions have been corrected in a manner acceptable to the original spray foam roofing manufacturer. 1. Inspect spray foam roof to receive roof coating. Always perform a coating adhesion test before doing the entire job. 2. Primer: Primer is not required over new foam. PrimeLock Epoxy Primer may be used to protect the surface from UV-degradation if conditions does not allow the application of base coat to the exposed foam. 3. Base Coat: Apply EnergyGuard Silicone Coating or EnergyMax Silicone Coating using the application rates specified below. Allow to dry thoroughly for 8 - 12 hours depending on humidity and temperature. 4. Top Coat: Apply EnergyGuard Silicone Coating or EnergyMax Silicone Coating using the application rates specified below. Allow to dry and cure before exposing to foot traffic. 5. Controlling Application Rates: Divide the roof into 100SF sections then monitor coating usage and adjust application technique to maintain consistency. A coating spreader or airless sprayer with a built in flow meter is recommended. Verify application thickness at 100 - 200SF interval with a wet mil gauge. Roof coatings are not traffic grade. Areas surrounding roof top equipment may be reinforced by embedding SeamStitch Polyester Roofing Fabric and applying a thicker membrane (40 - 50 mils). Walk pads should be used if frequent maintenance traffic is expected.